Ankara blasted Germany over cancelations of rallies by Turkish nationals in two German towns, which Turkish ministers were supposed to address. Berlin denied any involvement, saying the decision was taken by local officials. The rallies were supposed to be part of a campaign in the run up for the April referendum on expanding presidential powers in Turkey. There are some 1.5 million Turkish citizens with voting rights living in Germany, and officials from Ankara were going to whip up their support for the reform until the rallies were canceled on Thursday. Several Turkish officials blasted the development and blamed the German government for it. Foreign Minister Mevlut Cavusoglu said Germany must “learn how to behave” if it wanted to maintain relations with Turkey. He alleged that the cancelation was “a systematic move of the German deep state” against Turkey. “This move of Germany denounces democracy, the right to assembly and freedom of expression,” the minister said as cited by the Hurriyet Daily. 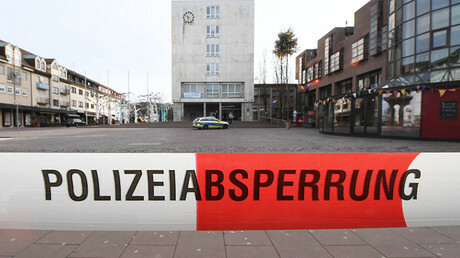 Justice Minister Bekir Bozdag, who was supposed to address one of the rallies in the town of Gaggenau, called the situation scandalous and cut short his visit to Germany. The refusal to allow the rally which Bozdag was due to attend is proving “Germany and the Western world’s double-standards on democratic implementations,” Cavusoglu said. He added that Berlin allows Kurdish gatherings while banning Turks from holding demonstrations or Turkish officials from meeting their citizens on German soil. “You permit leaders of terrorist organizations, but you don’t allow Turkey’s democratically-elected President Recep Tayyip Erdogan. This is inexplicable,” Cavusoglu said, referring to members of the Kurdistan Workers’ Party, an organization considered terrorist by Ankara. On Thursday, German media reported that Ankara summoned the German ambassador to Turkey, Martin Erdmann, to lodge a formal complaint. Turkish minister for EU affairs, Omer Celik, also weighed in, slamming the move on Twitter. “We share common values with Germany such as democracy, the rule of law, and fundamental rights and freedoms. We expect respect to these values. Preventing meetings with our citizens in Germany is a clear obstruction of the use of a democratic right,” he said. “Those who erect new ideological and mental Berlin Walls give the greatest damage to European democracies,” he added. 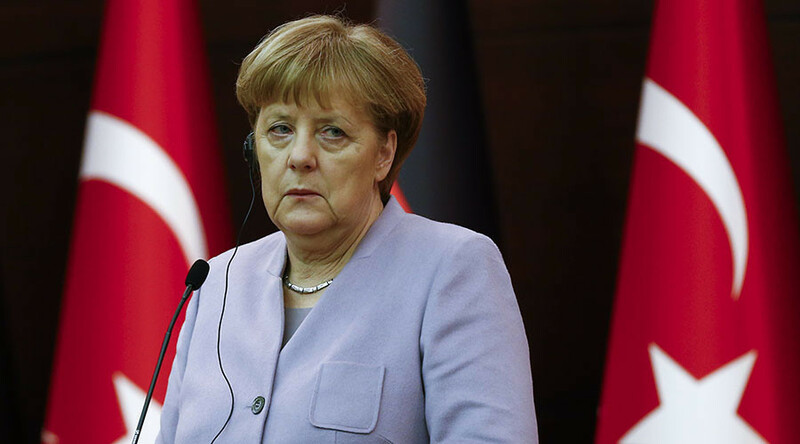 German Chancellor Angela Merkel denied responsibility for cancelling the rallies in Gaggenau and Cologne, saying the decision was up to local authorities rather than the federal government. A similar statement was made by government spokesman Martin Schaefer during a news conference. “It was a decision that the German federal government did not influence in any way, and could not have influenced, because it is a matter of state and local law over which we have zero influence,” he said. On Friday, officials in another German town, Frechen, announced they too are canceling a Turkish referendum rally. The decision was taken based on an ‘agreement’ between hall administrators where the gathering was due to take place, and the rally's organizers which “excludes political events." Relations between Germany and Turkey have been worsening for years. Berlin accuses Ankara of overreacting after a failed military coup last July, which triggered a wide-scale crackdown on supporters of Fethullah Gulen, the US-based cleric accused by the Turkish government of masterminding the plot. Meanwhile, Turkey says Germany is failing to address Ankara’s concerns over Kurdish terrorism and deliver on its promises for speeding up Turkey’s accession to the European Union. The latest row between the two nations comes amid another conflict over the arrest in Turkey of journalist Deniz Yucel of the German newspaper Die Welt earlier on Monday. Berlin said it posed a serious threat to German-Turkish relations. In a bid to ease tensions, Foreign Ministers of Germany and Turkey agreed to meet on March 8, Reuters reports citing official sources in Ankara.